Click the Plus Sign beside any of the questions below to reveal the answer. A REALTOR® is an agent or agency that belongs to the local or state board of REALTORS and is affiliated with the “National Association of REALTORS” (NAR). 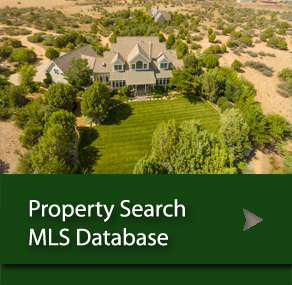 They follow a strict code of ethics beyond state license laws and also sponsor the Multiple Listing System (MLS), which is used to list houses for sale. Homeowners association is a nonprofit association that manages the common areas of a condominium or “planned unit development” (PUD). Unit owners pay a fee to the association in order to maintain areas such as a pool or playground that are owned jointly. If you are in the market to buy, it would be advisable to use a Buyer’s Agent. They can make recommendations on what terms and prices to offer as well as negotiating a deal with your best interest in mind. Prepaid interest is typically paid at loan closing. It is the interest paid on a new loan from the day of closing through the end of the month. All future interest on a mortgage loan is then paid in arrears. For example, if your new loan closes in February 19th, prepaid interest would be paid at closing from February 19th through the end of the month of February. Interest would then be paid monthly with your first payment beginning April 1st which would pay March interest. Your payment on May 1st would pay April interest, etc. All lenders are required by the Real Estate Settlement and Procedures Act (RESPA) to show the rate which will be charged on the note signed at closing, including the total cost to obtain the loan. This includes, but is not limited to, the total interest paid over the life of the loan, assuming the full term is carried out at the note rate, plus certain closing costs. Closing costs could include prepaid interest, Private Mortgage Insurance/FHA Mortgage Insurance Premium/ or VA Funding fee, whichever may be applicable, and various miscellaneous costs including, but not limited to, underwriting fee and tax service fee, may be charged. All of these “Finance Charges” are taken into consideration when calculating the APR to give a more accurate picture of the total cost of the loan.